Join your assisted living peers for a full day of thought-provoking education specifically tailored to this sector of long term care. NCAL Day covers the hottest topics in assisted living today, with an inspiring keynote, and a chance to honor the best caregivers in the profession. Through her unique experiences, Robyn has emerged with a refreshing and truly unique perspective on what it takes to build the kind of World Class Teams that succeed against all odds, that triumph in the face of adversity and that win as one in times of great challenge and change. From Theory to Practice: How to Improve Job Satisfaction and Retention with the 7/30/60 Day Engagement Model - This presentation provides a model to operationalize individual employee engagement during the first 90 days of employment—the most critical period. Are You Still Using Horses or Are You Henry Ford? Learn about the latest technologies that can change the quality of care in the next five years, resulting in higher-performing organizations. NCAL Awards Ceremony and Luncheon - Help us celebrate those who go above and beyond the call of duty by honoring the 2018 recipient of the Jan Thayer Pioneer Award and the recipients of the 2018 NCAL Awards Program. Improv and Dementia: Learning to Say "Yes and" When Interacting with Residents with Dementia - This train-the-trainer program will give you vital tools to teach caregivers how to use improv theater skills in their interactions with residents with dementia. Providing Mental Health Care in Assisted Living - Better understand mental and behavioral health diagnoses, how to screen for them, and how best to support residents with these diagnoses. Trends in Senior Housing: How Do We Thrive from Now Until 2025? - Panelists Robert Kramer of the National Investment Center and Dr. David Grabowski of Harvard, along with moderator Mark Parkinson, president and CEO of AHCA/NCAL, will discuss economic trends in senior living and how they could impact your business. Start your Convention experience on the right foot. Be sure to also check out our assisted living education track available throughout the rest of the week. Discover Exclusive AHCA/NCAL Member Savings Opportunities in the AHCA/NCAL Convention Expo Hall! AHCA/NCAL members receive special “member only” savings from select premier partners in AHCA/NCAL’s Preferred Provider Program. 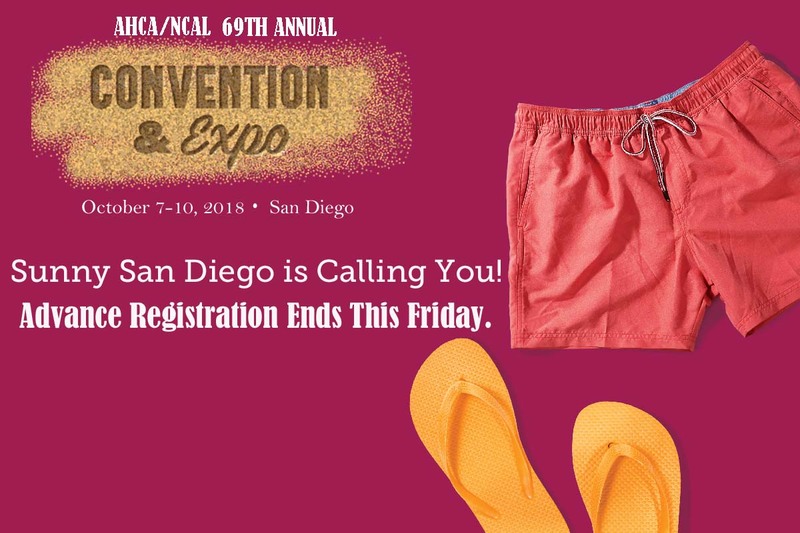 Learn more about these exclusive savings programs by visiting these booths in the AHCA/NCAL Convention Expo Hall in San Diego at the 69th Annual AHCA/NCAL Convention and Expo held October 7-10. Get ready for National Cyber Security Awareness Month (NCSAM), which is observed every October. It was created as a collaborative effort between government and industry to ensure every American has the resources they need to stay safer and more secure online. 2018 marks the 15th year of National Cyber Security Awareness Month. Cybersecurity is especially important to members as the healthcare industry is expected to remain one of the most targeted sectors by cyber attackers. More on NCSAM can be found on the National Cyber Security Alliance (NCSA) website here. For more information about ACHCA certification, go to www.achca.org/certification or call 1-800-561-3148. In addition, ACHCA will be exhibiting at Booth #2242 at the AHCA/NCAL 69th annual convention in San Diego. The Provider Reimbursement Review Board (PRRB) issued updated Rules effective immediately. The PRRB has jurisdiction over Medicare Part A claims where the individual appeal request has a total amount in controversy of at least $10,000 at the time of the filing. The PRRB is also moving to an electronic filing system to improve efficiency. The Centers for Medicare and Medicaid Services has also released a User Manual to help providers transition to electronic filing. Join us at our Annual Convention to be part of AHCA’s PDPM Resource Center kick-off! 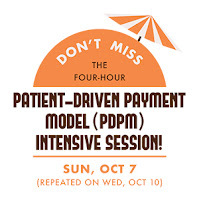 The AHCA Patient-Driven Payment Model (PDPM) Intensives will go beyond typical PDPM basic training on the new Skilled Nursing Facility payment system that will replace RUGs on October 1, 2019. In addition to PDPM basics, AHCA will unveil phase one of a series of strategic tools and resources to aid members preparing for and transiting to PDPM. AHCA’s tools and resources, available only to members, will be updated as CMS releases additional detail on PDPM and the transition process. The AHCA PDPM Intensives also will offer in-depth dialogue among members who have launched PDPM preparation efforts. AHCA is offering two opportunities to participate in the PDPM Intensive at convention. The options are Sunday, October 7, 1:00pm – 5:00pm and Wednesday, October 10, 10:30am – 3:30pm. If you haven’t yet registered for convention, now is the time. The Advanced Registration deadline is September 21. Register now, and take advantage of this chance to save! On September 10, AHCA/NCAL submitted comments to the Centers for Medicare and Medicaid Services (CMS) in response to a July 27, 2018 Notice of Proposed Rulemaking (NPRM) pertaining to the calendar year (CY 2019) Medicare Part B Physician Fee Schedule. Medicare Part B pays for physician services, physical, occupational, and speech therapy services, some equipment and supplies, and some drugs and biologics furnished to outpatients, and under consolidated billing provisions, also pays SNFs for therapies for residents that are not otherwise eligible for Part A coverage. Therapy Services – CMS proposed several policies related to coding and payment Part B therapy for therapy assistants that are required as part of the pay-for’s for the therapy cap repeal legislation passed earlier this year in the Bipartisan Budget Act of 2018 (BBA). AHCA/NCAL recommended improvements to the definitions of key new terminology to make the policy clearer, and to protect access for patients with more complex needs. On an unrelated therapy issue, CMS proposed to eliminate burdensome and ineffective reporting requirements related to function. AHCA/NCAL supported the proposed elimination of the burdensome and unnecessary requirements. Communication Technology-Based Services – CMS proposed new telecommunication-based codes that fall outside of Medicare telehealth legislation limitations as well as discussed potential changes to existing telehealth policies. AHCA/NCAL commented on opportunities to increase communication technology-based services for SNF residents, and to reduce SNF telehealth limitations so that they are consistent with other inpatient rehabilitation facility (IRF) and long term care hospital (LTCH) post-acute care (PAC) provider settings. Physician E&M code policy changes – CMS proposed reducing some documentation burden on office-based services and also collapsing payment rates for the highest intensity evaluation and management services (which impacts geriatricians and other specialties that commonly care for the disables and elderly and SNF residents). While not directly impact physician services furnished in the SNF, the policy could discourage physicians from working with this growing population hurting the available SNF physician workforce. AHCA/NCAL spoke to these concerns. Updates to the Part B fee-schedule-based Quality Reporting Program – CMS has not recognized facility-based Part B therapy services/therapists (including SNF) as being eligible for the Part B merit-based incentive payment system (MIPS) and alternative payment models (APM) fee schedule-based incentive programs, although PTs and OTs in private practice will become eligible if the rule is finalized. AHCA/NCAL cited concerns that this oversight will create unbalanced quality and payment systems as nearly two-thirds of therapy providers (including SNF) will remain ineligible for the quality incentives, and suggested an approach to move towards making this happen in the future. Request for Information on Interoperability – This is the same request that AHCA submitted comments for in the recent SNF PPS FY 2019 NPRM. AHCA/NCAL reiterated and updated those previously submitted comments that cited funding concerns, and offered practical suggestions to encourage increased operability without adding unnecessary administrative burdens. Please contact AHCA’s Associate Vice President, Therapy Advocacy Dan Ciolek if you have questions. A team of nationally recognized long term care researchers from Brown University led by Stefan Gravenstein, MD, MPH, and Vincent Mor, PhD, are undertaking a large-scale quality improvement study to evaluate the impact of the annual influenza vaccine on long term care residents' hospitalization risk for the 2018 influenza season. AHCA/NCAL recommends that members consider participating in this national study. Please help spread the word and share with your colleagues and peers. Nursing centers that meet eligibility and agree to participate will be asked to complete a short survey and receive financial compensation of $150. If you are interested in participating in this important project, please call or email the study coordinating center, Insight Therapeutics, LLC, at 757-625-6040 or NHFlustudy@inther.com. The Centers for Medicare & Medicaid Services (CMS) has announced that a new report for Payroll Based Journal (PBJ) is now available for providers, The Job Title Report (1703D). This report details the submitted staffing hours for select job title(s) during a specified period. Providers are encouraged to utilize this report, along with the CASPER based PBJ reports, to check the accuracy of their submissions. More information on each of these reports can be found here. Data from July 1 - September 30, 2018 is due on November 14. For questions, please contact the AHCA PBJ team here. An AARP-led coalition that includes the American Health Care Association/National Center for Assisted Living (AHCA/NCAL) delivered a letter on Sept. 6 to leading U.S. Senators asking them to continue their fight to maintain the medical expense deduction, which was temporarily extended through 2018 in last year’s tax cut law. The coalition sent their message to Sens. Sherrod Brown (D-Ohio), Susan Collins (R-Maine), and Rob Portman (R-Ohio), thanking the trio for their leadership in preserving the medical expense deduction last year and urging their continued assistance in keeping it in place after this year. Pointing to the long history of the deduction, the letter said for the past 75 years Americans with high health care costs have been able to deduct medical expenses from their taxes. AHCA/NCAL has said that many of these individuals are in long term care, thus making it a significant issue for our members. Some of the other members of the coalition include the Alzheimer’s Association, American Heart Association, American Psychological Association, March of Dimes, Michael J. Fox Foundation for Parkinson’s Research, and the National Committee to Preserve Social Security and Medicare. The CMS National Partnership to Improve Dementia Care and Quality Assurance Performance Improvement has scheduled a call for September 18 that will provide insight on opioid use in the post-acute and long-term care setting. The impact of opioid use on persons living with dementia will be discussed. To register for this call, go to Dementia Care: Opioid Use & Impact for Persons Living with Dementia Call — September 18. Now more than ever before, assisted living providers have to be increasingly efficient while still providing the utmost care. New and emerging care technologies can offer solutions for improving quality care, addressing staffing shortages, and yielding organizational success. NCAL Day at the AHCA/NCAL Convention & Expo offers a forward-thinking session, “Are You Still Using Horses or Are You Henry Ford?” Join us Sunday, October 7 at the San Diego Convention Center to stay ahead of the curve. A global senior living design, project management and procurement company, Mosaic’s mission is to "Improve Quality of Life By Design." 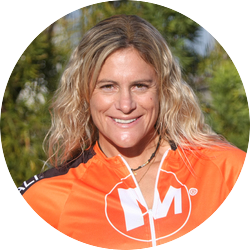 Under Lisa’s leadership, Mosaic has helped a diverse clientele achieve success on far-reaching projects, including: top global senior living operators, The US Air Force, The US Navy, the NHL, and The OhioHealth Hospital System. Don't be left stuck in the past. Lead your assisted living organization into the future. "Are You Still Using Horses or Are You Henry Ford?" will discuss how emerging technology can positively impact staff and customer satisfaction, which ultimately results in higher systems performance. 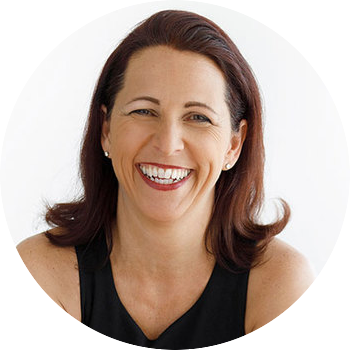 Look at examples of early adopters, including leading global industries, scientists, and XPRIZE tech picks. And learn from individual LTC facilities that have seen measurable results: positive therapy outcomes. Faster communications. More accurate initial assessments....All of which support targeted quality initiatives for assisted living and long term care facilities. Save up to $100 when you register by September 21st. The press release states the hearing will “examine reports of abuse, neglect, and substandard care” in SNFs, the role of Centers for Medicare and Medicaid Services (CMS) “relating to the management and safety of these facilities,” and recent (Office of Inspector General) OIG and Government Accountability Office (GAO) reports on SNF quality. The hearing follows a April 2018 letter from the committee to CMS about claims of nursing home abuse, particularly in the wake of the Hurricane Irma. The following witnesses have been confirmed to testify: Kate Goodrich, M.D., Director, Center for Clinical Standards and Quality, and Chief Medical Officer, CMS; Ruth Ann Dorrill, Regional Inspector General, OIG, HHS; and John Dicken, Director, Health Care, GAO. The hearing will take place at 10:15 AM, EST in room 2322 of the Rayburn House Office Building. It can be live streamed at the Energy and Commerce Committee's website. AHCA is briefing members of the committee on improvements in SNF quality and will monitor the hearing closely. September 2018 marks, among other observances, National Preparedness Month. National Preparedness Month, recognized each September, provides an opportunity to remind us that we all must prepare ourselves and our residents now and throughout the year. This year, the focus is on planning, with an overarching theme: “Disasters Happen. Prepare Now. Learn How.” Take this time to review your facility and community-based risk assessment/hazard vulnerability. All components of a center’s emergency program (emergency plan, policy and procedures, communication plan and training and testing) must be reviewed and updated annually. That being said, AHCA/NCAL has several informative emergency preparedness resources that you might be interested in. We offer a tool titled “Emergency Preparedness Program (EPP) Customizable Plan for Long Term Care” that allows facilities to customize compliant emergency preparedness program plans. This indispensable tool provides a clear-cut detailed crosswalk that shows how a facility’s EPP plan meets the Centers for Medicare and Medicaid Services’ requirements and demonstrates precise compliance to survey agencies and Authorities Having Jurisdiction. AHCA/NCAL members receive exclusive “member only” pricing of $395 for the EPP customizable plan – a savings of $100 off the regular price. Members should also visit the Assistant Secretary for Preparedness and Response, the Technical Resources, Assistance Center, and Information Exchange (ASPR TRACIE) website for additional resources for long term care centers. Finally, there will be educational session around emergency preparedness at the AHCA/NCAL National Convention in San Diego, on Tuesday, October 9, 2018, at 9:30 – 11 am PT entitled “Understanding the Value of the Long Term Care Community’s Engagement Within a Healthcare Coalition.” More details on this session can be found here. Please contact Erin Prendergast (SNF and AL Providers) or Dana Halvorson (ICF/IID Providers) with any questions. The Department of Labor (DOL) has created a new office and two new websites in help ensure compliance with federal labor laws and regulations. The new websites are worker.gov and employer.gov, which aim to help employees and companies, respectively, understand their rights and obligations related to wages, workplace safety and health, retirement security and other issues. The websites incorporate information from many different federal agencies, including DOL, the Occupational Safety and Health Administration, and the National Labor Relations Board. The new Office of Compliance Initiatives will be a cross-agency effort coordinated by the department's Office of the Assistant Secretary for Policy.